The beautiful city of Cochin has a fascinating history, and a great range of influences which can still be seen today. This tour will give you a taste of this diversity by visiting Mattancherry Palace (popularly called the Dutch Palace), Paradesi Synagogue in the centre of Jew Town and the cantilevered Chinese fishing nets along the coast in Fort Cochin.You will also have the chance to look around St. Francis Church, dating back to the early 1500s and where Vasco da Gama was originally buried, and the Santa Cruz Basilica which is reminiscent of an iced caked rising up from the ground. The driver will take you to Alleppey which is about an hour's drive from Cochin. Stay in Alleppey at the Houseboat. The driver will take you to Varkala (04 Hrs / 180 KMS Approx.) Along the way you’ll have the opportunity to take breaks for refreshments and photography. You can spend this time as you please. If you’d like to organise some sightseeing or activities, this can be arranged. 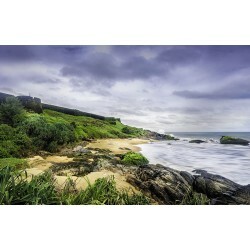 The driver will take you to Kovalam (03 Hrs 15 min / 180 KMS Approx.). Along the way you’ll have the opportunity to take breaks for refreshments and photography. 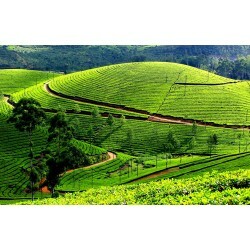 Services of local English speaking tour guide during the sightseeing of Cochin as per the itinerary.